Social networks and the resilience of rural communities in the Global South: a critical review and conceptual reflections. Socio-spatialities of vulnerability: towards a polymorphic perspective in vulnerability research. 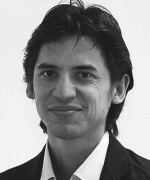 Patrick Sakdapolrak is a Professor for Population Geography and Demography at the University of Vienna and a Research Group Leader at the Department of Geography, Bonn University. Since November 2016 he is an affiliated Research Scholar in the World Population (POP) Program at the International Institute of Applied Systems Analysis (IIASA). He studied Geography and Development Research in Heidelberg, Germany and Wollongong, Australia, and received his doctorate degree at Bonn University, Germany. His research field is at the interface of population dynamics, environmental change and development processes, with a focus on the topics of migration and displacement as well as health and disease. The central theme of his research is the question of how vulnerable groups live with risk. His Ph.D. thesis is based on field research in slum settlements in India, where the inhabitants have significant higher mortality and morbidity rates than the rest of the urban population. He investigated how these poor urban groups cope with and adapt to environmental and social stresses. His current research on migration-environment relationships in Kenya and Thailand addresses the question how migration alters the way people at places of origin deal with the environment and climate change.